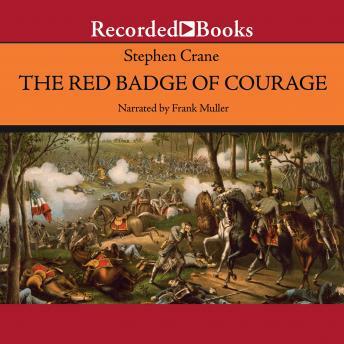 At the time he wrote The Red Badge of Courage, Stephen Crane had never witnessed a battle. Crane's older brother fought in the Battle of Chancellorsville, however, and Crane listened carefully to his brother's reminiscences. The result is the classic Civil War novel, and one of the greatest stories of all time. Henry Fleming was always playing soldier at home on the farm. Now, on the battlefield, shells burst in front of him like strange flowers, gunfire rips toward him in great crackling sheets of flame, and all around him, blue-coated figures lie still on the blood-drenched grass. The Battle of Chancellorsville has begun. Stephen Crane's most famous work stands alone as the testimony of a young man compelled to mature during a bloody Civil War battle.